hd00:22Animal paw prints. Traces the path of the mammal. hd00:14Traces of a walking animal on white. Background with animal paw prints. Cartoon comic funny paws. hd00:11Footprints of the animal in motion. Traces the path of the mammal. 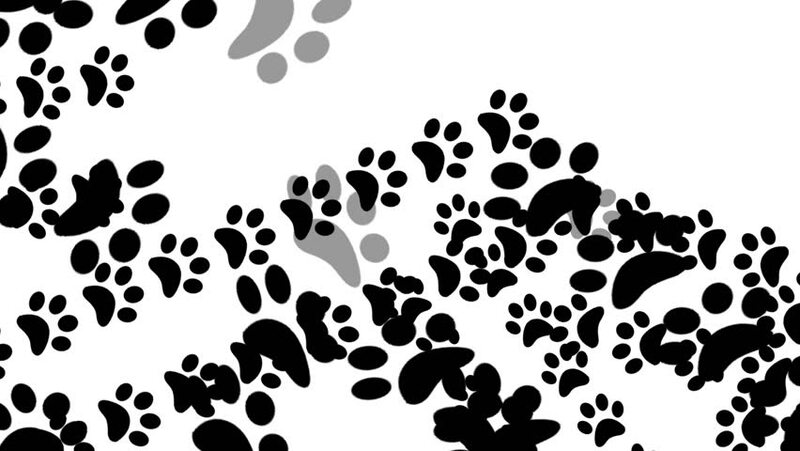 hd00:16Background animal paw prints on a trajectory of movement. Footprints walking animal on white. Cartoon comic funny paws. hd00:16Footprints walking animal on white. Background with animal paw prints. Cartoon comic funny paws. hd00:14Frame Footprints of running animal. Traces the path of the mammal.